It’s certainly not easy to surf Toronto. Some would say impossible. When you’ve got the passion and the right attitude, you really can do just about anything, and at the same time, have fun, make friends and inspire. See what it takes to catch a wave in the icy cold waters of the Great Lakes in this short documentary On Days Like These We Must Surf by Jake Kovnat. 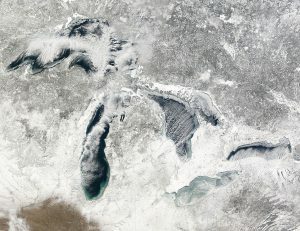 The Great Lakes are a series of five interconnected freshwater lakes (Lakes Superior, Michigan, Huron aka Michigan-Huron, Erie, and Ontario) located primarily in the upper mid-east region of North America on the Canada-US border. By total surface area, the Great Lakes are the largest group of freshwater lakes on Earth, and they are often referred to as ‘inland seas’ because they look much like oceans with rolling waves, winds, currents, great depths, and distant horizons. Think you’d like to give lake surfing a try? Surfing the Great Lakes any time of year is difficult. Add the freezing cold winter elements, and it becomes brutal. 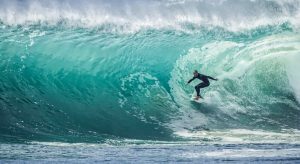 The best surfing, however, is during the winter months because winter storms generate strong winds that produce the biggest waves that come in super fast. Other challenges involved with lake surfing include wind forecasting, getting the proper gear and board, and avoiding debris in the lake. Not for everybody, and getting images of a sunny beach out of your head is another big challenge. Surf the Greats surf shop, sells gear and boards specifically designed for lake surfing, offers classes on lake surfing and wave forecasting, and organizes meetups and competitions. Nordurland is about surfing in the harsh, cold waters of the North Atlantic. Watch as three friends from the subtropical northern rivers of NSW Australia travel to isolated, snow covered coastlines in search of remote waves, and discover the great challenges and rewards of a northern adventure. Filmmaker Ishka Folkwell beautifully captures the vast and stunning landscapes, and you’ll see glaciers, mountains and powerful icy surf come to life on screen. Big wave surfing is an extremely dangerous sport. So, who does it and why? — Free 2 Watch video documentaries capture epic rides as well as personal stories of big waves surfers, including Rodrigo Koxa’s record breaking ride on an 80 foot (24 meter) wave at Nazaré on November 8, 2017. 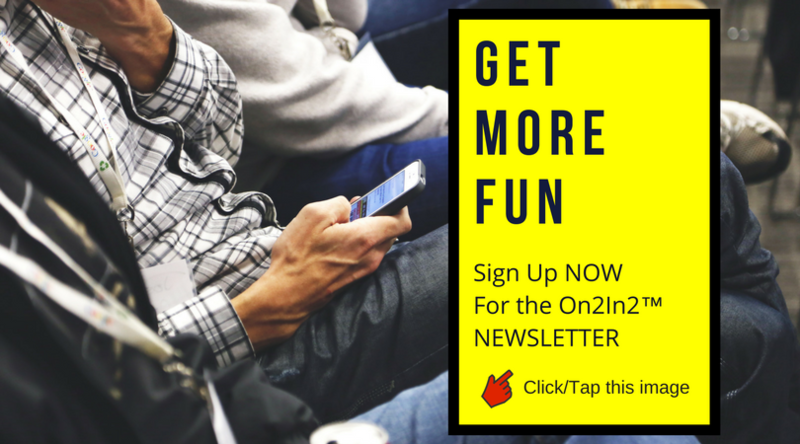 FREE 2 WATCH – On Demand Great surfing action and stories on the Cranking Surf video channel, an On2In2™️ selection of favorite videos. We’d love to hear from you! 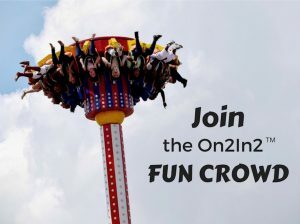 If you’d like to comment on this post, join the conversation, or share your inspiration, and you have not yet registered as an On2In2™ playmaker, please sign up via the ‘Engage page’. Don’t worry, it’s pretty quick and easy.